Mobility solutions get a good space in the Healthcare. There are many ways that mobile apps are playing crucial role in the Healthcare category. Doctors, Patients, Hospitals & Pharmaceutical companies can take advantage of mobility solutions. Mobile technology has made its space in the Healthcare, Medical and Pharmaceutical industry also. By many ways the mobile apps can be helpful to the doctors, fitness experts, patients & hospital management staff. Doctors prescribe the patients through apps, patients can get on-time reminders for medicine & regular health check up. Medical is a broad term & mobile health technology has formulated the new ways that doctors can assist patients, health conscious people can remain healthy by using fitness apps. Maintaining the stock of medicines, injections & other operational instruments with mobile app becomes easy for the Hospital management staff. In the modern day, people use technology for their health concern. Medical professionals such as Doctors, Medical Practitioners, Hospital Management staff & students also make use of apps for the ease of all sorts of operations & routine tasks. When we look into the survey, 62% US smartphone owners have used their phone to get info about a health condition during 2015. Hence, it is proved that apps belong to Healthcare category get a good user response. Below all the categories are explained in brief that how mobility solutions are performing well in Medical & Healthcare. In the fast life, people have become more conscious about their fitness & health. As a part of it, they do a daily workout in morning & evening and follow the diet plan. For being fit & maintain the body in shape, folks take care of consuming calories. The apps can guide you with the nutritious value of each food item. So, they need not to carry the paper with them. Best Mobile healthcare applications help to set your targets and track the everyday activities such as walking & running. The best fitness apps show your fitness progress and guide you to accomplish the fitness milestones. The built-in-trackers track physical activities & exercises. So, a user need not to count the numbers & remember the details of a workout. Yoga is the best practice for physical & mental well-being. Install yoga app and go through the videos for daily Aasan & Yoga practice. Fitness mobile apps also mention how “Aasans” & “Pranayam” are beneficial for health. The full-featured body fitness apps can guide you exactly as the experts. The healthcare professionals, doctors, Physicians and Medical students also have to go through some clinical information. Mostly, an app of a medical dictionary is useful for the practicing doctors & students. For any kind of query in medical terms, they can quickly get the best solution. Medical Apps for Doctors have common features such as Medical news, Drug information & tools, Disease & Condition Information, Medical Calculators, Drug Formulary Information, Continuing Medical Education Courses, Offline Assess, etc. By installing an app, Doctors can be aware of the Medical conferences schedules, important journal articles, conference news, etc. Doctors can update themselves about the drugs & dosage, formulas, scales,etc. Medical professionals treat the patients for more than 4400 diseases & conditions. And as the time passes, many more new kind of diseases and conditions are introduced. Mobile apps include the clinical work-up, treatment & Drug doses required for all possible diseases and conditions which are verified by the expert Doctors. Doctors having private clinic can manage their schedules and appointments through the mobile apps. An availability of doctor in a clinic can be mentioned by the admin staff and the patients can book their appointment there. They can update the wall with some home remedies for normal diseases and illness. Small clinic management can also be managed easily through the apps. Doctors can get updates about the number of appointments book for the day & no. of patients waiting in the clinic from the handy mobile device. Big & well-famed hospitals have multiple wards & treat multiple patients simultaneously. They also keep a staff of many people including doctors, nurses, ward cleaners, supporting staff, Admin, Security, etc. Even the expert doctors from the other hospitals also visit the patients admitted. Hence, hospitals have a big data to manage every day. 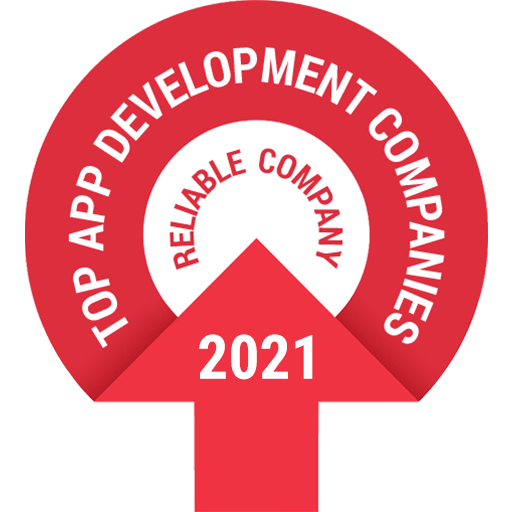 The superlative app development companies can smoothly craft the full-featured apps for the hospital management. Hospitals put a stock of various drugs & medicines, injections, operational instruments, stretchers and other equipment, machines, etc. Stock maintenance of multiple medicines is a tough task. The staff can use a specific mobile app for the same. Mobile apps display a list of medicines with available stock. Management staff gets the notification for the medicines with low stock & out of the stock. Admin staff can manage information about the number of beds reserved, number of rooms busy, number of busy operation theatres & ICUs at the specific time and date. They can match the doctor’s & operation theatre’s availability at the specific time & date. So, no clashes happen and hospital management goes smoothly. At the time of patient admission and relieving, the process becomes smooth through the well-defined mobile app. Staff can easily have a control through the apps even with the distance. Invoice generation is based on the no. of days of bed reserved, no. of Doctors’ visits, other equipment usage charges, Drug & medicine charges, operation charges, etc. Medical apps for Doctors & patients are really helpful in many ways. Any medical professional just requires the sharp minds for mobile app development who can understand their needs & build a flawless app. Healthcare mobile applications also notify students & medical professionals for the upcoming national & International medical events. Due to unhealthy food consumption, polluted weather, tight professional schedule & disturbed routine life cycle each individual is suffering from small or big health issues. It is better that they are aware of different health conditions, diseases, medicines & some home remedies. Top medical apps have a good collection of data including various medical situations, reminders to take medicines, etc. Sometimes, the patients with an emergency need to request the Ambulance. The apps can help you quickly when you are passing through a critical situation. When you press help button in a mobile app for patients, the emergency numbers get a notification about the emergency created along with the location. Even a Doctor can manage health records, appointments, Patients health history, the past & current health condition etc. The separate apps are available for the convenience of Doctors. With the help of mobile apps for patients, it’s easy for the Doctors to track a record of all patients come for the treatment. Admin department can also leave medical appointment reminders to the patients through email, SMS, and direct app notifications. Some big hospitals also manage detailed data of all patients. A patient’s medical record diary can also be managed through mobile applications. Authorities can retrieve patient’s biodata, chief complaints, history of present illness, past illness, Allergies history, gynecological history, drugs history, diagnosis, systematic examination, treatment, follow-up, etc. Use mobile app & send a request for the immediate treatment in medical emergency. The pharmaceutical companies manufacture various drugs & many of them can sell their medicines through the M-commerce app. As an E-commerce business has a long way to go, Pharmaceutical companies also have jumped into it. They facilitate you to collect the prescribed medicines from your doorstep with discount rates. The customers can upload a picture of Doctor’s description or select diagnosis tests. When an order for the medicine is dropped, a partner retailer contacts the customer & deliver the exact medicines with reasonable rates. Best Pharmaceutical apps (Billing mobile app) facilitate the users for health and medical billing as well. There is a broad way market for the mobile apps in Healthcare. With the mobile apps, Doctors, Hospitals, Pharmaceutical Companies and Patients can ease their interaction process. Doctors can manage their patient’s data & appointments smoothly. The Hospital can be managed through the handy devices. Patients get the best assistance. Pharmaceutical companies can manage the stock easily & sell their products online. Just a perfect execution of mobile app can work well for Healthcare & Medical sector. Nice blog!!! I like your article because now a days everyone looks for latest technologies and easy done. Health care app is really help full to every one.thanks for sharing good information.